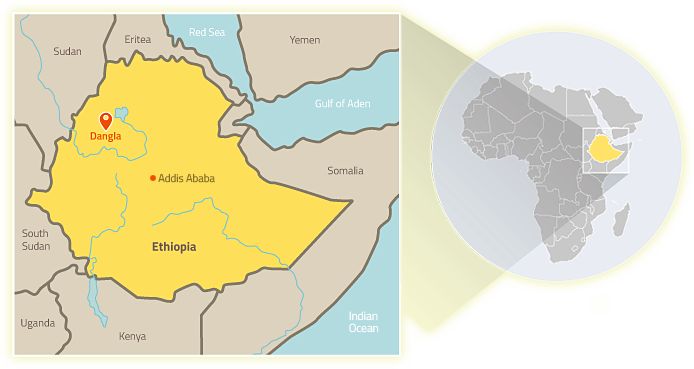 The mission of Project Ethiopia is to empower rural villagers to implement and sustain improvements in health, education, and local economic activity. We envision a future where rural villagers throughout Ethiopia are engaged at the grassroots level to create positive change in their communities. Project Ethiopia serves rural villages in the Dangla woreda (or district) that centers around the town of Dangla (population approximately 40,000). Dangla woreda is comprised of 33 rural kebeles (the smallest unit of local government in Ethiopia) with an estimated population of about 279,000 people.